“Property tax revenues implode.” “Deficit elimination plan draconian.” “Troubled pension plan may not pay benefits.” “Pension investments crash, will cost retirees.” These troubling headlines reflect a branding that no responsible official would ever want to see for their community. They create an image that stains a local unit as fiscally distressed and create a negative impression that can last years. Too many local units of government in Michigan fail to fund in their current operating budgets' pension and retiree health-care (e.g. legacy) costs, as recommended by an actuary. Often, the refusal to fund arises as a concession to employee groups seeking to avoid an impact today that can be pushed into a future year’s budget. But the future is now and legacy funding has become a staggering financial burden on many local governments. These costs are no longer merely the elephant in the room; they are a giant mammoth that threatens even core services. Consider for example, the pension plans of the cities of Detroit, Flint and Pontiac; Wayne County; and the state of Michigan (including school districts). These units, as disclosed in their 2010 audited financial statements, have a combined, unfunded, actuarial accrued liability of $77.9 billion. Proper annual funding for these entities would be new, annual revenue sources (taxes, fees) of between $5 billion to $7 billion in each of the next 30 years. In Detroit alone, if the accrued legacy costs were to be funded solely by property taxes, an annual levy of 46 mills for 30 years would be required. And the 46-mill level stays at that rate only if one assumes no negative impact on the property values results from that millage burden. Flint’s legacy costs are so great that contributions of $72.2 million for each of the next 30 years would be required to actuarially fund their obligations. This legacy commitment is in a city where the 2011 general fund revenues were only $67.2 million. These legacy costs and related commitments are simply not sustainable. Eventually, many of those local units will be unable to pay for the benefits committed to in prior years. Pontiac, for example, is no longer paying general retirees’ medical bills, despite commitments; the cash is simply not available to do so. The continued failure to set aside appropriate contributions on an annual basis will result in other local units following Pontiac into fiscal distress. Fiscally distressed local units often have another problem: residents and businesses move out, leaving the legacy commitments to be borne by the few who remain. 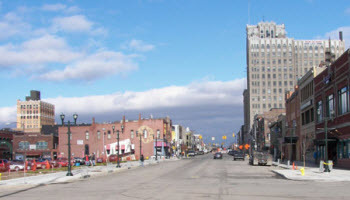 Based on the 2010 census, Detroit’s estimated $7.1 billion in unfunded legacy commitments must be borne by 713,000 residents, some 25 percent fewer than the 951,000 residents bearing the burden in 2000. Businesses and residents leaving the city will not help fund legacy costs incurred during the years they were residents. The future of Detroit’s next generation has been mortgaged. The legacy cost issue no longer can be ignored. And because this is a statewide issue, it must be corrected with statewide actions, coupled with local responsibility. A state task force must be established to explore the possible alternatives: properly funding legacy costs through a new revenue source and/or securing permanent legal relief from the legacy commitments. Neither alternative will be welcomed by public officials, employees or taxpayers. But failing to act only insures continued injury to the employees and retirees -- and to the communities they served. Mr. Daddow suggests "securing permanent legal relief from the legacy commitments". This is a very dangerous idea for two reasons. First, because it means citizens of the United States cannot trust their governments to uphold their commitments. If governments cannot be trusted to take their commitments seriously, the entire idea upon which our country was founded is undermined - that the government is a responsible partner in a social contract with the citizens. Second, such relief is another form of "kicking the can down the road", because the commitment is not just to "former employees" but to an entire aging generation. We are all familiar with the demographic fact that we face growing numbers of elderly citizens. "Legal relief" can be secured, but picture the situation with thousands and thousands of elderly people unable to pay their health care costs, their rent or mortgage, and even their food. Given the numbers of elderly citizens, this is a problem that will affect society as a whole. If nobody is able to pay, do we leave an entire generation out on the streets to die? Who will collect their dead bodies...? The leaders of government entities that have greatly underfunded pension plans have committed a criminal act. The Bernie Madoff's of the world have been put in prison for their Ponzi schemes. Allowing people to buy up to 20 years of service, or retire at 37 years old with a full pension as is going on in Wayne County under Ficano is no less criminal than what the Madoffs did except that the victims were the taxpayers. When will people wake up and not vote these types of people into office. It is time for governments at all levels to be run by hired business managers that can be fired at any time, and do away with politicians at all levels. Wages, health care, home values, stocks, unemployment, private pensions are all being impacted by our "new" economy. Public pensions need to be taxed and brought in line with the reality the rest of us have already been affected by. Welcome to the world of private enterprise. Ok.......so what's the solution? These benefits were contractually bargained for and, perhaps carelessly agreed to by elected officials and public administrators. Do we now seek to breach those agreements as we have just now realized we made a bad bargain? Should the City of Flint file for bankruptcy? Or do we as a State recognize that collectively we've got a problem which needs a collective solution? And what reforms should be put in place to avoid a repeat of this? If so, what has caused this problem? Declining stock market? I'm fairly certain it's not collective bargaining. And let's try to avoid making public employees the enemy here. Remember, these deals were agreed to by both parties. The Affordable Healthcare Act is the only saving grace for this problem and the unfunded SS system. I predict in the future we will see a planned reduction in life span that will ease the burden on these systems. Sad but inevitable. "Often, the refusal to fund arises as a concession to employee groups seeking to avoid an impact today that can be pushed into a future year’s budget." --- good grief... what an apologist for elected officials and their management teams... just another way of blaming all of this on public employees. "The unions made us do it! We couldn't help ourselves." Why do I think Mr. Daddow's pension is itself pretty well-funded. Sigh. I hope that everyone reads this and understands why I am concerned about what protects the Detroit Institute of Arts (DIA) collection, owned by the City of Detroit, from being sold off by an emergency manager or a bankruptcy court. The DIA’s response is that they will litigate and believe that they can keep the issue in court long enough for Detroit to overcome its financial issues. I don’t think that they understand the depth of Detroit’s problem. Their General Fund shortfalls are minor compared to their underfunded legacy costs. I doubt that litigation by a non profit with a contract to operate a City of Detroit owned facility and collection will have much standing with the courts. BTW, this comment was not allowed to be posted on this publication. HHHHHHHMMMMMMM. I wonder. Suddenly now that Rick Snyder is Governor we have all this unfunded pension liability and most of the municipalities are run by Democrats. This couldn't possibly have some kind of political aspect could it? Also note that I am a municipal employee and have extensive training and experience in finance and accounting so I have some idea about how pension costs are estimated. I agree that pension liabilities have been underfunded for some time but is it really that bad or is it just that someone new came in who uses much more conservative estimates and so comes up with a much worse financial scenario? It all depends to a great degree upon what kind of estimates you use. I tend to be of the professional opinion that while it is not as good as some people say it is not as bad as others such as Mr. Daddow tend to believe. If we can switch all new and existing employees who have not vested to defined contribution pension plans and increase health care contributions by existing retirees I believe that in 20 to 25 years we can solve the unfunded pension problem simply by fact of attrition. I do not believe that drastic doomsday type solutions like those put forth by Mr. Daddow are really necessary. There are measures that can be taken (as I described above) but they must be implemented ASAP if not sooner. Enough said.